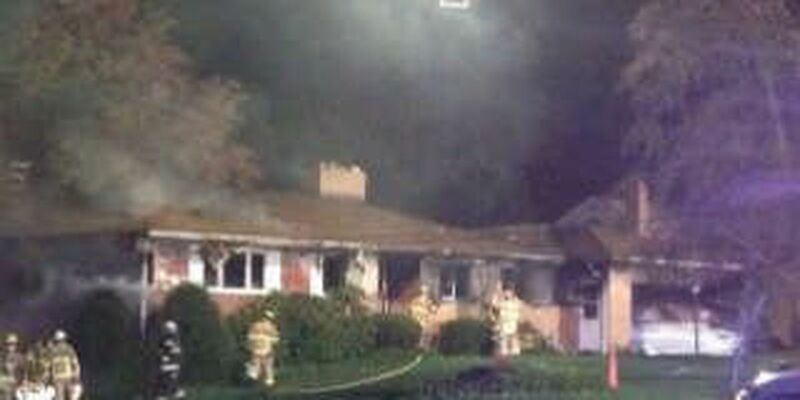 BRECKSVILLE, OH (WOIO) - The Brecksville Fire Dept. is on scene of a fully involved house fire on Sprague Rd. off of Brecksville Rd. The fire department says two people were reported in the home when the fire started, a woman was able to get out of the house and a man was still inside when fire arrived on scene. The man was rescued from the house and transported to a local hospital, his condition is not known at this time. The fire was called in just before 9:30 p.m. Witnesses reported hearing a loud boom before the fire, but fire officials are still investigating the cause. Multiple fire departments assisted with the call, including Independence, Broadview Heights, Richfield, and Valley View.